Released in 1998. 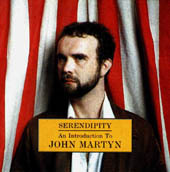 “Serendipity: An Introduction to John Martyn” – yet another compilation from Island, presumably trying to entice those people who didn’t buy the Anthology. Good value at around £10 and there are some excellent sleeve notes.